Yachting Australia president, Matt Allen, purchased Shogun V from Rob Hanna recently. He sailed her for the first time in early July after adding a new keel fin and mast. With a new higher rating, Allen and crew will have to sail her to the max upwind for a winning performance. However, adding navigator Will Oxley to the mix, along with some of the boat’s former crew, should hold the latest Ichi Ban in good stead. As Shogun V, it was second on line and second overall in the 2015 Pittwater-Coffs Harbour race and won the Flinders Islet and Newcastle Bass Island races in the Blue Water Pointscore, which it led until missing the last race of the series and scored other victories. With his Carkeek 60 Ichi Ban, Allen was fourth on line and fourth overall in last year’s Land Rover Sydney Gold Coast Yacht Race, and third in Division O. 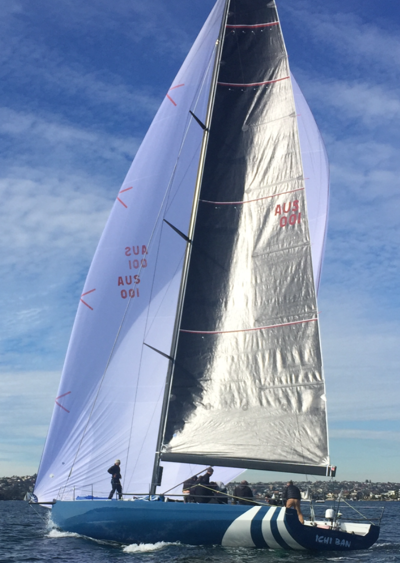 Modifications ahead of the Hobart race improved its overall performance and it finished eighth on line just after producing a third overall in the CYCA Trophy Series. Allen, the CYCA SOLAS Trusts Chairman, and a past CYCA commodore, has also produced winning results on the northern circuit with his Farr 400 - and in Asia with his Beneteau 44.7 - and an Adams 10.